Well I finally went to the doctor because my heel/foot pain became almost unbearable. You have no idea the nightmare it was for me to go – I absolutely hate looking at feet and there were posters of foot fungus and various foot problems everywhere I looked. It was completely disgusting. Unfortunately my heel pain has become a constant problem – I am pretty sure I have plantar fasciitis so I have been doing various stretches, rolling it with a ball thingy, and got a splint to wear at night. I know rest is the most important thing right now, but what does that mean for all the races I signed up for this spring? It was suggested that I rest it for at LEAST 10 weeks – I don’t want it to become a chronic condition or get any worse. I will most likely go to a doctor to see how long I need to rest my foot for, but I am super disappointed about this. On Saturday I completed the 5th week of marathon training with my sister. We met in the park and there was a running group that was planning on doing 3 miles so we ran with them for a bit until they turned to go back and we continued on so we could complete 7 miles. The day was foggy and a bit drizzly, but it was warmer than it had been so I thought it was a great day for a run. The white of the dense fog made the yellow-green of the grass really pop! We did the whole trail and back making our run a little over 7 miles – the whole time doing the walk/run/walk/run using the timer on my phone. I am getting a little faster every time and am almost back to the time I was last year (which is still not really fast). I’m lucky my sister sticks with me- she’s just happy to run (although I know she can go wayyyy faster than me). If you follow me on Instagram you know that I started running again after a LOOONNNGGG time off. 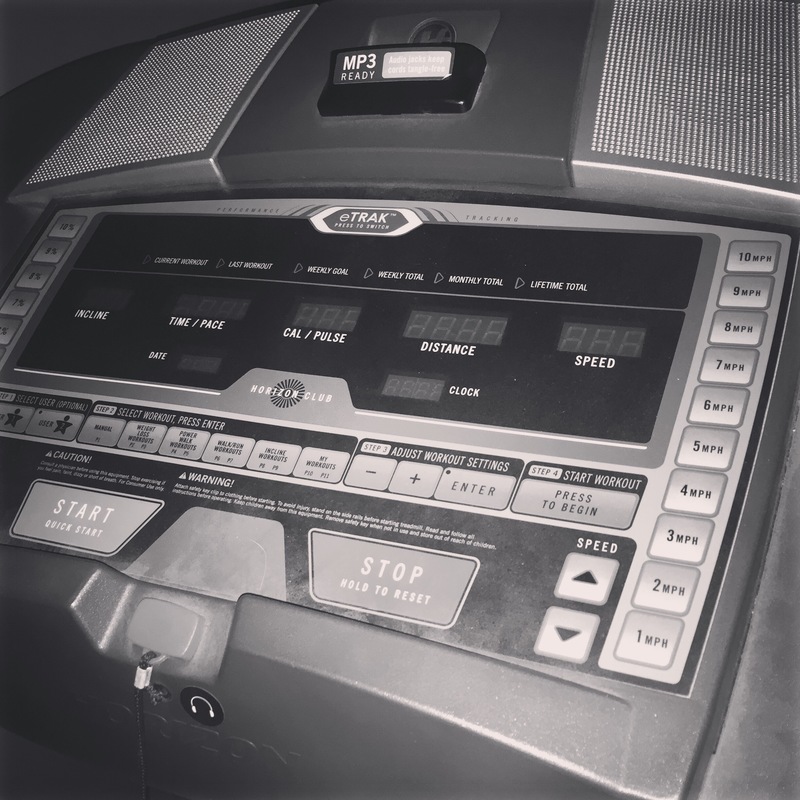 If you have been following this blog you may remember I had some pretty random thoughts on a treadmill awhile ago.